The concept of time is abstract so it can be difficult to explain to children. 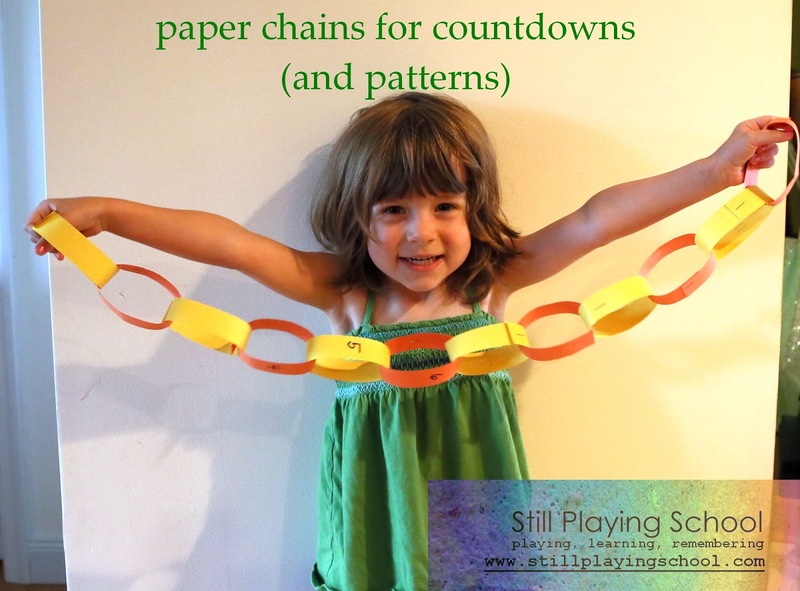 We use paper chains to count down to exciting events! 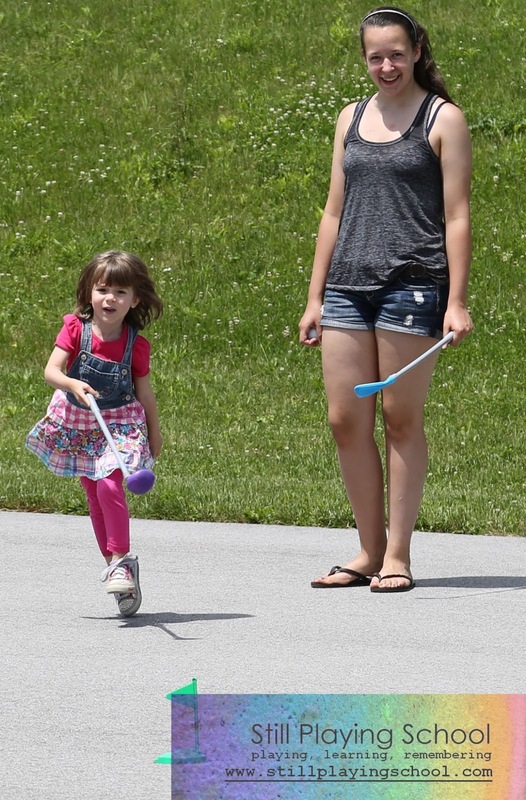 We are all ecstatic that my niece is coming to visit us soon. La is E's only girl cousin. At 14, she's E's idol/best friend! When we see her, the two girls disappear, spending as much time as possible together. She'll be staying with us for a week much to E's utter delight! She's an amazing help with the kids! Visiting with La this weekend only amped up E's excitement. As we traveled the 3 1/2 hours to get to her house on Saturday, E said, "I am so escited, I am freaking out! I LOVE La! She's my favorite!" 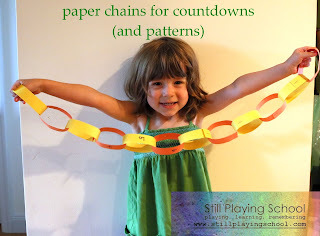 La already knew how many days were left until her visit, so we decided to follow along as well with a paper chain countdown. 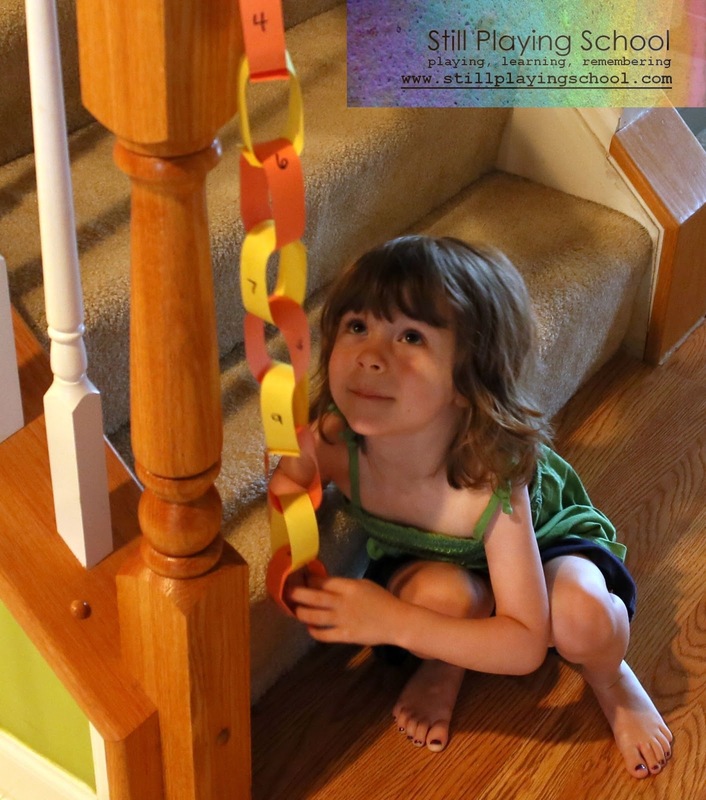 We use our calendar magnets to mark the days with places we visit regularly and people we see often, but for an extra special event like La's visit, a paper chain countdown is perfect! It's not a revolutionary idea, but I added a few details to make it a bit more interactive and educational. We started by cutting one inch strips of construction paper. 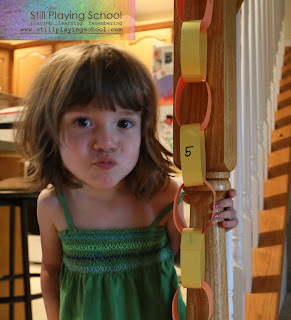 We made a pattern with the colors (to review what we've been working on during our summer co-op home school preschool classes) while forming our chain by stapling the strips into links. 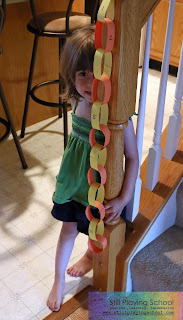 After the chain was complete, I wrote numbers on each link so we will know how many days are left. This will help E practice her number recognition. We found the perfect place to hang it. Each morning E will practice her scissor skills by cutting off one link and we'll be one day closer to La's visit!